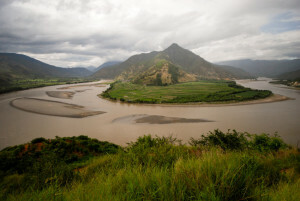 The Yangtze River, which translates literally to “The Long River,” is the longest river in Asia, third longest in the world, and the longest river in the world to flow through just one country. More than just setting records, The Yangtze River plays a large role in the history, culture, and nature. 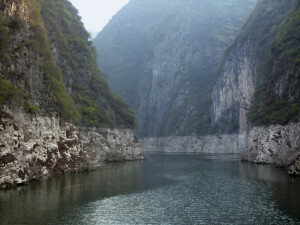 Within The Yangtze River you find Shennong Stream, which consists of three sections each with something unique to offer its visitors. The Shennong Stream is a left tributary of the Yangtze river that carries quite a swift current and spans 60km or roughly 37ft in length. Along the river you can see hanging coffins in the vertical limestone clefts, the remnants of early settlement. These coffins themselves are a marvel, for it has always been speculated how such heavy coffins could be stored in such steep and high locations along the length of stream. Carved from a single layer of tree trunk, the coffins are generally found anywhere from 25 to 70 meters above the river’s surface. The Shennong Stream Valley surrounding the area was also the host of many important historical battles through out Chinese history, one of these these battles being the battle of Xiaoting. 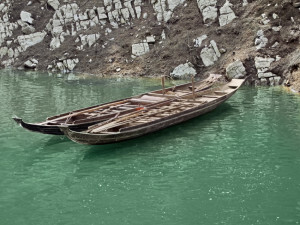 Two traditional rowboats anchoring waterside. Parrot Gorge is arguably the most scenic of the three gorges found along the Shennong Stream. You can see luscious greenery, beautiful smelling flowers, and from this vantage point, you can even witness the tri-colored springs spray the air. Along the path of Parrot Gorge you will discover Swallow Cave. The cave functions as the home to thousands of short-beaked swallows, and is one of the highlights on a voyage down the Shennong Stream. The final gorge you can marvel at along The Shennong Stream is the Longcangdong Gorge, or the Longchuan Gorge. The most stand out feature of this gorge is its breathtaking rocky cliffs, most notably the Peak Baota. This “tower” cliff reaches up towards a remarkable site where archeologists have discovered an array of ancient battle tools. A cruise down the Shennong Stream with not disappoint, and with China Tour to guide your way you can relax and take in the beauty.